Radiator cores are incredibly soft so damaging or holing your radiator can be inconvenient and expensive. Coolant or Oil squirting onto your front tyre or making its way back to your rear tyre can end in disaster. 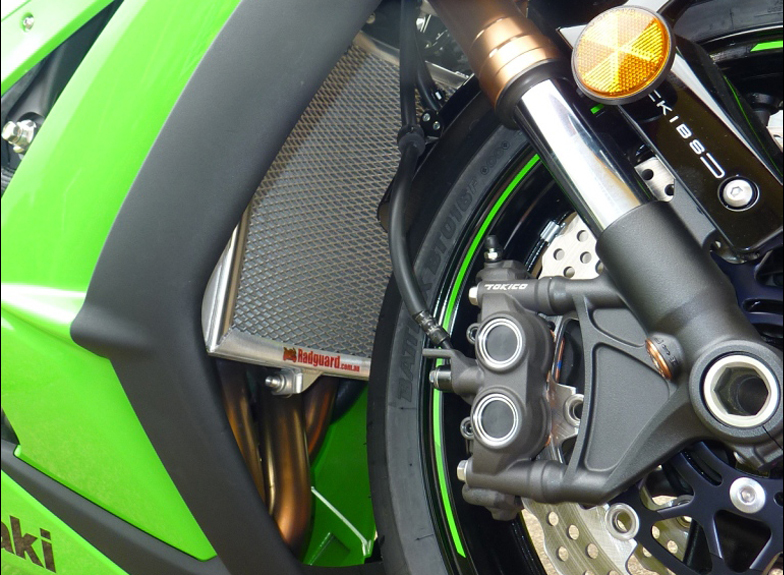 We have designed a radiator guard so that your bike's running temperature is not compromised, whilst still being one of the strongest on the market. They are designed using a rigid alloy frame along with an expanded mesh insert. The rigid frame will protect your radiator core from crushing on side impacts, while the expanded mesh lets more air flow through than any other type of material. 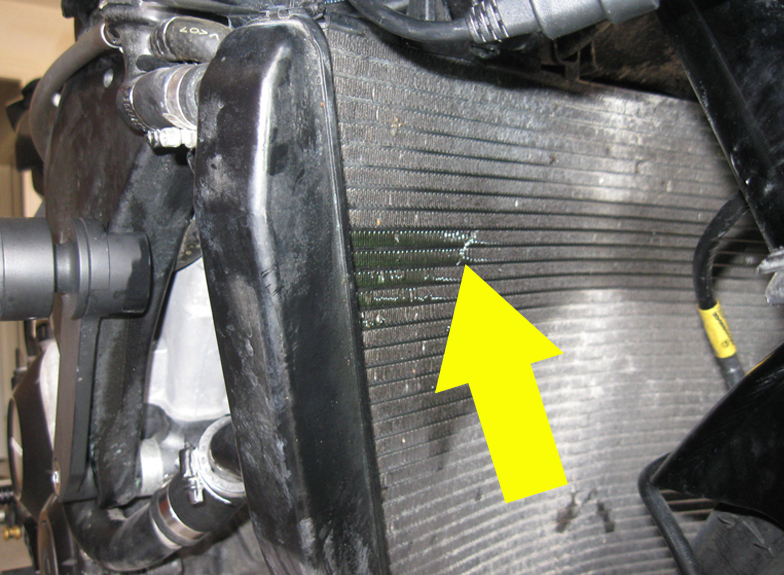 The expanded mesh sits off your radiator core by approx 12-15mm. 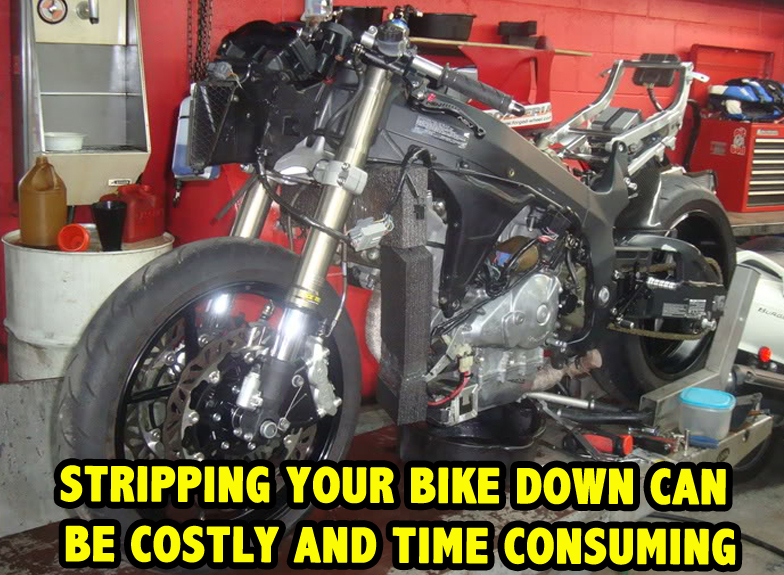 This prevents any rubbing and will also allow the mesh to absorb high speed hits from road debris without coming in contact with your bikes radiator core. The back of the rigid frame is fitted with a soft foam to stop any vibration. Fitting is very simple. All Rad Guards have been completely finished at the factory and can be fitted straight away. They have their own “Model Specific” instructions, so there’s no guess work. Some models also have fitting Instructions videos that you can view on the web site or youtube. 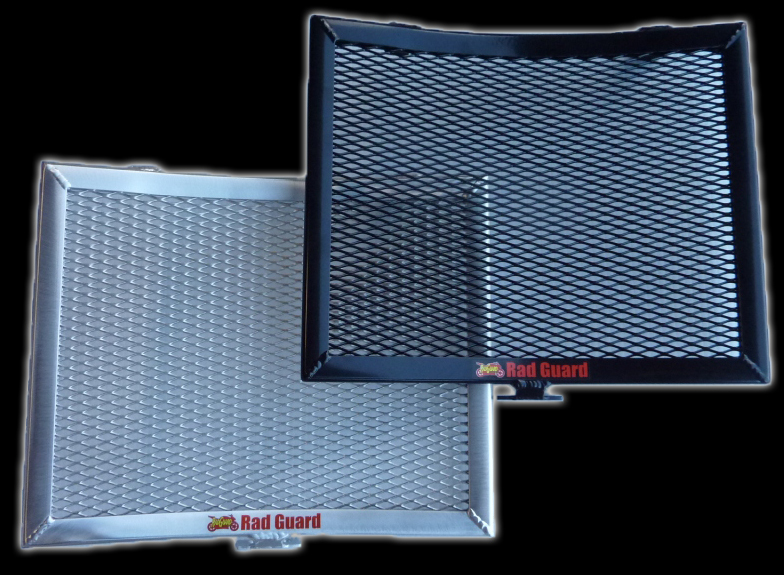 All Rad Guard productscome with a 3 Year World Wide Warranty.